...or go to => "Need a Finishing Service in Africa, Asia, Australia, Europe"
All readers are welcome to the contact info for posters as long as a supporting advertiser hasn't already asked for it! My company is in need of anodizing. Q. I just bought a Sears Kit House in FL. There is an original sink I would like restored to its original glory and put into everyday use in our well used kitchen. I am not yet positive it is steel, and it may be cast iron. I will know perhaps tomorrow. But I would need a place that can strip, re porcelain and fire. AND if I need to use corrected terms to describe what I'm after, please feel free to give me the words. I've never done this before. Thanks y'all for your help. Q. I sold a desk to a customer in Brooklyn NY. The guy that built the desk put a clear coat of polyurethane on the metal to protect it from rusting. Now the clear coat is lifting/peeling I need someone to strip the polyurethane and then finish it correctly so it doesn't rust. Are there any metal workers out there that can help out and correct the problem? Q. I need someone who can refinish high end putters (carbon and stainless steel) as well as golf irons using DLC and other methods or some playing that will not affect the feel of the club and will not fade, chip, or wear after use. The goal is to provide a unique finish that will separate these clubs from the standard finish that most have. I have looked into black oxide, have tried products such as cerakote, and have also blued these clubs at my home but have found that It is not cost effective for me to do this and I'm not very good at it. I'm from central Ohio so a shop in this area would be preferable. Q. We are looking for company recommendations, preferably on the East Coast, that perform electropolishing and/or electroplating of copper alloys (preferably brass 60/40). Ideally facilities that can accommodate objects 12" in H/W/D. If anyone has any experience or contacts in this area they would be willing to share, we would greatly appreciate it! RFQ: Hello, I need a west coast finisher to Anodize type 2 black on a sheet of 6061 aluminum. Sheet is exceptionally large and I'm having trouble finding anyone with a large enough tank near San Diego. Sheet measures 60 inches by 72 inches by 1/2 inch thick. We are a Robotics Engineering company and will need similar services in the future. RFQ: I am looking for an East Coast USA plater that can provide 200-300 micro inch Ag over 140-200 micro inch Cu for electrical contacts. Current plater complaining about the tellerium but I understand it can be done. 60925. Looking for e coating for low quantity gold plated jewelry. RFQ: I purchased some bracelets for my boutique shop and bangles that are silver with gold plating. I need to have them e-coated for longer lifetime of plating. At least 1 to 2 years. I have about a dozen pcs for now. But will have more soon. RFQ: I am looking for a company that can do Zinc-Nickel Plating and Trivalent Passivation on various types of ACT Steel Panels ( 4 inch x 12 inch). After the Zinc-Nickel and Trivalent layers we would also like for a company to apply a series of sealer coatings we are developing. We would then perform SST and Prohesion testing to evaluate performance. I am having a hard time locating a lab that would be amiable to doing this work for us. This is an ongoing project and testing would happen multiple times during the year. RFQ: I'm looking to restore some old chainsaw crank cases by having them powder coated, but before I blast off the old paint and powder coat them, I started looking into anti-corrosion treatments. I'm just learning, but I think it may be a good idea to pre-treat the magnesium case. I came across several posts from David Kraft, Long Island City, saying he did Dow 7 chromate treatments on magnesium. However, these posts are several years old and I don't know how to contact him. If anyone else would like to offer to help me with advice or with service, I would appreciate being contacted. RFQ: Seeking metal finishing companies in the upper Midwest (Minnesota and surrounding states)that can provide a metal finish that would meet the following specifications. - Finish can be applied to steel parts with the majority of parts manufactured from 1018 or 4140 steel. - Can endure 300 hours of salt spray testing (ASTM B117-16) without appearance of red rust. - Wear resistance- comparable or greater than wear rates of high phos Electroless nickel on a Taber Abrade- 120 mg loss @ 10,000 revolutions with 1000 gram load. - Color- Black, or grey is preferred, but other options would be considered. Need the Technical & Performance Data for the finish recommended. Also need an understanding of cost, would the price be per pound or part. Process 800 parts or 4600 pounds per week. RFQ: Hi, I'm looking for someone that can manufacture a titanium keytag and then anodize it in the rainbow effect. I can't seem to find anyone that can help me with this, does anyone know of someone? RFQ: Looking for a ISO 9000 certified plating supplier to perform Immersion CU, high phosphorus nickel and Au on our PZT/Ceramic parts. RFQ: Heavy timber fabricator in Alabama in need of various stainless hardware polished. We make our own connection hardware for timber trusses and beams. Occasionally we do stainless (304 or 316) and usually leave them raw and unfinished. We have been asked to provide polished stainless hardware on several projects lately. I have been tasked with trying to find a company that can do the polishing. The closer the better. Thanks for your time. Outsourcing the actual making of the pieces may be an option as well. RFQ: I am looking for a supplier to silver plate the interior surface of a stainless steel cup. I need an individual or company that can walk me through the process as I am only familiar with the very basic principals of plating. I suspect my project will need an undercoat of copper or gold to ensure proper adherence. Given the unique nature of my need, finding a willing supplier has been difficult. Many of the companies with which I have spoken to have directed me to Finishing.com as a marketplace likely to have professionals capable of helping me directly or recommending a contact that may. RFQ: Please give me a quote and time frame for commercial clear anodizing of the following tubing. These are all slip fit 6061-T6 aluminum tubes 12 ft long with a total of 1248 lineal feet. RFQ: Looking for a business hopefully in the Northwest (Oregon or Seattle area) to get ongoing finishing services for our SLS and SLA parts. The substrate materials are resin and nylon. We are looking for a company that can spray chrome (Cosmichrome or other), vacuum metallizing or plating on SLA and SLS 3d printed parts. RFQ: I am searching for plater that can do this proceess on part made from .12 Thk x 1.50 x 1.50 A36 angle in Texas if possible. RFQ: My mother had a religious medal that she wore for years. It is very tarnished. I think it was originally silver plated and now just looks dull gray. I would like to give it to my daughter to use in her bridal bouquet in memory of her grandmother. I am looking to have someone silver plate this item. Thank you. RFQ: A new member of staff did a horrible job on the chem film (5541 Color Golden). Aesthetically, it is unacceptable and I cannot sell these parts this way. Is there a service to remove Alodine that has been set for months? Ed. note: Topic 0791 is a technical discussion of this issue. RFQ: We are prototyping a custom display and the client has requested a polished brass bezel around glass. We're hoping to fabricate out of steel and have the parts plated for a polished brass finish. Potential for a 10,000 qty order in Q1 of 2019. Prototype to be executed mid-November. RFQ: I need a price and lead time to Zinc plate some parts (66 pcs). be preferred. I have drawings I could send. Can someone tell me were in california can Hot Dip Plate M317 Per Mil-F-14072 [link by ed. to spec at TechStreet]. Material is Half Hard Brass. RFQ: I am looking for a non metallic coating, such as Dacromet on steel material 1045HT to 30Rc, and alloy 4140HT to 45Rc. RFQ: Looking for a plating supplier for zinc iron. The spec provided to us is ASTM B842 Type A Grade 6. It will go over type 4140 alloy steel. Part size is Φ .500" x .630." Quantities are up to 5000. Part has external thread 1/2-28 UNEF 2A. Part has thru hole Φ .156" and larger hole one end, Φ .260" to depth .220" intersecting thru hole. RFQ: Looking for a regular supplier to re-chrome telescopic cylinder tube for my hydraulic shop. Is this a service you provide, or can you direct me to someone who does this type of re-chroming? Please call me to discuss. Thank you in advance. RFQ: I have a brass and glass coffee table. I would like the finish changed to bronze. I am located in central NJ. Willing to travel about 100 miles. plating. Can you help with this? RFQ My situation: I've got a 3D printed SLA part with 1.55 by 3.1 mm rectangular tubes ~ 91 - 180 mm long running through it. 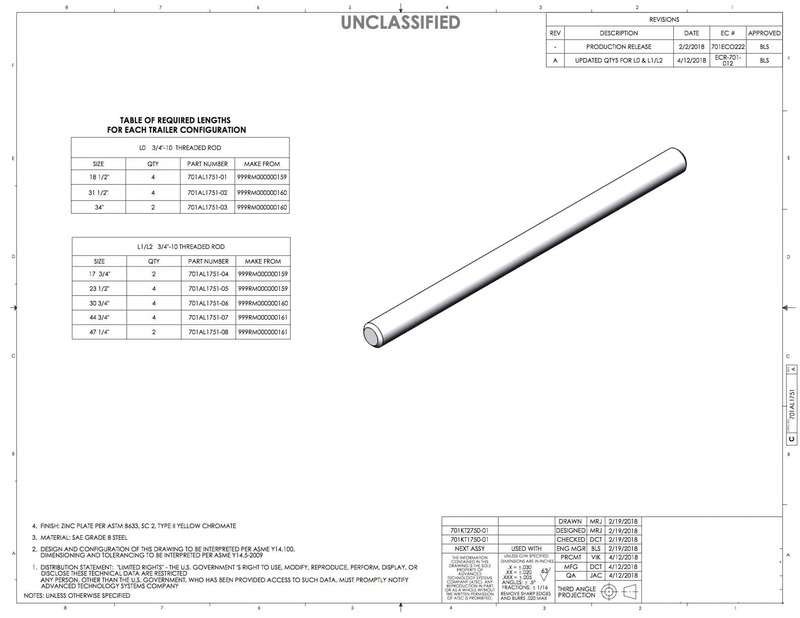 It is 180x180x91 mm in dimension and has 35 of these tubes. I would like all of the interior tubes copper plated (electroless Cu is fine). Would be great if the entire system was covered with 2-5 µm of copper. RFQ: My situation: We are looking for new plating services for our zinc cast parts. Specifically we would like to find an alternative plating service for our cosmetic gold appearance. They do not necessarily need to be plated in real gold. They are ~135 mm tall cylindrical parts with a diameter of ~30 mm. We are looking for a cost-effective and reliable company close to our location. RFQ: I have several pieces I 3D printed on a Form2. They are a photopolymer resin and can either be raw, from the printer or I can prime them in automotive primer. I need them to be chromed to a brilliant shine, like an automotive bumper. RFQ: Looking for a supplier that can plate a decorative chrome or polished nickel finish on a rolled steel part with a length of 16 ft and width of about 4 inches. Prefer US, Mexico or Canadian supplier but open to others. Volume is at least 12000 ft/ yr for one of the parts and expect to double this by adding another part early in 2019. 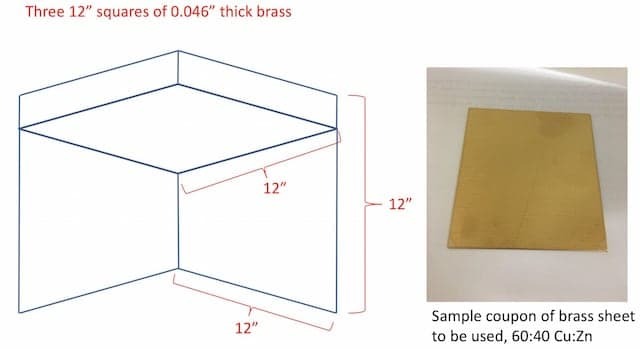 RFQ: I've probably 6-10 pieces of 1/4" Brass C280 formed into a channel. Lets say 12" base, with 6" legs, by 12 foot long. Who can Black oxide them? RFQ: We are looking for a source that can plate decorative chrome over aluminum alloys. We have multiple parts for this need and time is of the essence. RFQ: Looking for a company that can applied lacquer (0.012" or 0.03 mm) to a deep drawn stamping part. The lacquer has to drain and creating a blockage with the thickness. the hold diameter is approximately 0.250" or 6.35 mm. Thank you. RFQ: I have a 1981 Yamaha XS1100LH Midnight Special (four cylinder) with the original 4-into-2 Black Chrome mufflers in pretty good visual condition - a little surface rust on the underside. However, the baffle on one muffler has broken loose and I have learned from owning a previous 1980 XS1100LG and another XS1100LH that you cannot weld these mufflers or vibration will crack them at the repair welds. I have a used spare set of these mufflers (with only one of the short inside headers) that will need some sanding but appear intact, and one spare for the one with the damaged baffle that has no rust but someone appears to have tried to polish it with the wrong stuff and the finish has silver chrome looking swirls in it. So minus one short header, I have the makings for two full sets of the 4-into-two exhaust systems that I want to pay to have black chromed. Money is concern, but I am very interested in getting both sets black chromed soon if anyone can do it or refer me to someone that can. RFQ: I have lamp brass lamp that seems to be pitted but I love the lamp-where can I take it for repair? I would like to find a PVD coating firm that knows how to coat sterling silver and bronze jewelry. The pieces are approximately 5cm x 1cm x 2cm. I am tired of paying high prices for 14k and rhodium plating. I need to find a PVD coating company that takes small batches of 144 pieces. RFQ: We seek a reliable shop to anodize finish our machined parts on a regular on-going month-to-month basis. We prefer a small facility that offers its customers affordable/reasonable pricing absent high lot charges since we rarely have more than 15 small parts to do at one time. Our company makes one-up bushings from 7075 T6 Aluminum. The bushings measure: 6" long x 1.75" in diameter and have one center bore hole of approx. 1". There is no masking required and this is a straight up easy finish job for a small shop. Please see our photo showing several bushing pieces. Due to the small lightweight size of our pieces, we can ship to any state in the lower 48 states. Lastly, there will be no pressure to finish the parts quickly since we will allow you 3 weeks (21 days) from your receipt, giving you plenty of time to fit our job in your schedule each month and/or combining it with another job. All we ask is that your work is excellent quality. We would also request that you Laser Mark or send our parts out to have them Laser Marked with the Part Name, Part Size, and our Company Name. Please contact me with a price quote. Thank you for taking the time to submit your quote. RFQ: I need a few pounds (100-200 pieces) misc. fasteners and hardware gold Cad plated. Thanks. I'm interested in gold plating some parts for my motorcycle. Primarily interested in the rocker box cover spacers. The part numbers are listed below for reference if you want to look them up to get a better idea of dimensions. I'd venture to say it"s less than 1 square foot in total surface area and only the exterior (visible) areas of the part need be plated. All the parts are chrome plated which I understand requires electronic removal of the chrome to expose the nickel base then gold plating application. Please let me know what information you need to know from me for a realistic quote and the turn around time upon receipt of the items. The motorcycle is a 1984 Harley FXR for reference. The smallest quantity Enthone sells is 5gallons. I am looking for a shop who can sell me 12oz of UBAC SK or someone who is familiar with UBAC SK who can tell me what to use in its place. My goal is to not have an extra 4 gallons of UBAK SK sitting in my shop for the rest of eternity. RFQ: I'm looking for coating shops that can do NiP Black (Nickel Phosphate). I'm not too familiar with this particular coating but it is something we're currently evaluating for its optical properties in a spaceflight application. I would also be interested in receiving small samples (AL6061, CRES, or Ti-6Al-4V substrates, 4"x4") for evaluation. RFQ: Looking for a quote to gold plate my Magnum research .50cal Desert Eagle. RFQ: Trying to locate anyone that can apply a AgCl coating to a high quality Silver foil in a web process (roll to roll) to yield rolls of the material for a high speed rotary diecutting process. Current process of dipping is not scalable. Current process utilizes a KCl to cause the AgCl to sort of create a scum layer of the AgCl which then attaches itself to the silver sheets being dipped. Finished coated product is shaped into small components as electrodes and is trapped between layers of adhesive and other PET films. Any guidance on who might be capable would be greatly appreciated. RFQ: We need one small 12L14 part finished with black oxide. Located in Buellton, CA (just north of Santa Barbara). Anyone out there who can do this process? RFQ: I have a small project I hope someone can give me an estimate for. I'm building an aluminum trike for my Paramotor out of 6061. These will be easy to ship, so I don't mind sending them out of state. I've contacted some local places here in VA/MD but they all have their hands full with large scale projects. I'd like a simple Type 2 anodizing in a light color (red, gold, golden orange, etc.) Just need the outside of the tubes done if that makes a difference. I have a small project I hope someone can give me an estimate for. My large toolbox has 17 unfinished aluminum rails on the drawer fronts which I can slide off. They are 1 x 1 angle (L-shaped) strips ranging from 4" "to 38" long. 636 in2 or 4.4 ft2 (frontal coverage). RFQ: I have parts for an aerospace project that require an inorganic black anodize finish. MIL-A-8625F Type II class 2. Electro-coloration with a metal compound is preferred to an organic dye for contamination requirements. Specifically what sorts of powder coatings can be applied to the stainless steel fitting to help prevent galling. RFQ: I am looking to have a few copper kettles stripped of their tin and/or tin lead lining. I am not looking to having them re-plated at this time. RFQ: I am searching for a service provider who can black oxide copper (c110, half hard) in thin and narrow strip form, and hopefully, but not insistently, in a coil to coil process. The material is 0.010" thickness, 0.75" wide, and currently in coil packaging, the weight or length of which can be determined. This would be an ongoing, albeit occasional, requirement. IF necessary, I am prepared to undertake this process myself, however would much prefer having the experts do this! RFQ: We are looking for a vendor who is QPL to finish these connectors per MIL-DTL-5541 type II, CLASS 1A by applying epoxy paint, some with color no. 15102 BLUE of AMS-STD-595, The quantity required to paint is 172 units - connectors to be provided by us. Vendor would be responsible for receiving the connectors, completing the paint finish as instructed above, and provide certification that the parts were painted as required. We would also need a quote for the same project/quantity but finish a different 172 connectors per MIL-DTL-5541 type II, CLASS 1A by applying epoxy paint, some with COLOR 13655 YELLOW. Please call or e-mail me should additional details be required to secure a quotation. Any help or guidance on the topic is appreciated. RFQ: I am seeking a plater in Minnesota that has incorporated a cleaning process for 12l14 material to remove the lead on the surface of turned parts. The plating required is trivalent clear zinc. We are having blistering issues with our current plater and they are unwilling to alter their process. RFQ: I have not been able to find a stainless steel rod with PTFE coating that could be used as a stir shaft for laboratory experiments. We would need a 10 mm O.D. including the coating and a length of 500 mm. Is this something that you could make? What would be the cost of such an item? RFQ: Completing the finishing touches on a set of accurate fiberglass Captain Phasma Armor from newest Star Wars trilogy for 501st Legion approval. Looking for chrome services in or near Baltimore, MD that can work with detailed pieces. RFQ: We have some tiny aerospace parts that need an inorganic black anodize finish. MIL-A-8625 Type II class 2. We'd like the two step electro coloring using metal salts rather than an organic black dye. RFQ: We have need of a oxalic acid anodizer to coat our aluminum parts. The residual sulfur outgassed from typical type II anodizing is incompatible with items we produce that are co-mounted with the aluminum parts. Does anybody know of an oxalic acid anodizer shop in the US or even in Germany that could handle small volume work? RFQ: Does anyone know where to get screws plated with ROHS Olive Drab? RFQ: I am looking for a company that can do 20 foot aluminum pipe anodizing I have at least twenty 20-footers and numerous other sizes that need a gunmetal color dye. RFQ: Hello, is there anyone out there that is able to electroplate an old rose for me? I cannot seem to find this service anywhere and I am looking to get some price estimates if anyone does this kind of thing. The rose is about 5 years old, I understand that it is not going to look perfect but I really would like to preserve this rose for as long as possible. I would prefer the coating to be silver but I am flexible. The only thing I do not want coated on it is copper or bronze. Any takers? RFQ: I currently have a Gov. project that requires Phosphoric acid anodizing to a Sikorsky spec. SS8482. I can not find a processing house that will process the parts. Does any one know who does this process to a Sikorsky spec. RFQ: We have a project that will require anodizing of Extra Large aluminum fabrications. Approximately 93" OD tanks that have flat ends. The ends are 1-3/8" flanges, AA2014-T651 with a 14" wide skirt of AA2014-T651 welded. After the 14" wide skirt, there will be 6061 cylinders welded to them. All of the 2014 material must be anodized, and a Type II with hot water seal. We would like to ship with the AA6061 welded onto the AA2014 to ensure that all AA2014 and the weld joint are anodized. If this is within your capabilities, feel free to call anytime to discuss in greater depth and I can then get prints over for a quote. RFQ: The company I work for is quoting a job that requires a large aluminum frame 90" x 86" x 46" approx 500 lbs to have Chem Conversion Coating to MIL-C-5541 Class 1A and we are having a tough time finding a supplier to perform this process. Ideally we ould like this done in western North America to save transport costs. The customer is adamant the processor be NADCAP certified. We have done this before with a supplier but they are not NADCAP so the search has been exhausting. Any leads would be appreciated. RFQ: I need to electroplate platinum onto tellurium copper without using nickel as a barrier metal. No ferrous metals can be used. RFQ: Looking to apply soft touch rubber coating on aluminum products. Need a consultant to provide best options and a reputable supplier to fulfill orders. Q. I am looking to apply rubber coating to aluminum products to improve grip and handling and to provide a soft touch feel to the product. I am looking for suggestions of what compound or product would work best and what would the optimal thickness be. I am looking to gold plate with 18k and rose gold multiple electronic stainless steel watches. Quantity 10-10000. Can anyone recommend best, most economic finishing/plating process that can deliver best quality/color, long lasting plating? Ideally, watch metal/bracelet metal should reflect the texture and color of pure, high quality, 18k or rose gold and last for over 10 years. I've read on this forum about multiple methods of coating, about applying 3-10 micron gold (which increase production costs). Also about clear or gold-toned transparent/translucent top coat/lacquer on top of plated gold. If any of local finishing shop suppliers (electro, ion, ZrN, PVD plating) are present here, I would love to meet to see the samples and discuss the costs. 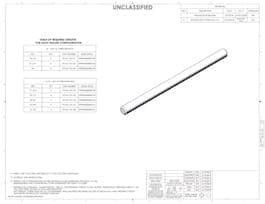 RFQ: We recently had a company roll Evanohm R material to various thicknesses of .004", .005", .006", and .008" at a width of 5.25" and requested annealed. When they annealed the material it appears something was wrong with their process as we have a heavy oxide layer (5 to 8 micron) on the surfaces. We can grind the oxide off or we can chemically etch the oxide off for our needs in small strips. We have several feet (> 500 ft) of material on each roll from which we need to remove the oxide layer. In order to salvage this material are there services that can either mechanically grind or chemically etch this material down controlling the thickness to the ± .00025"? RFQ: Could someone indicate a supplier of a plant to manufacture aluminum mirror in glass plate in the dimensions 3210 x 2400 mm? RFQ: Does anyone know a shop (preferably in Seattle area) that can do a HF etch of Stainless Steel (316 or similar) followed by a Nitric Acid passivation? Looking to treat the surface of something roughly 1'x1' square plate. RFQ: The company I work for is looking for long term polishing supplier in the United States. We are looking to do foil polishing. Foil length: 50 m or 200 m.
Desired Surface Roughness: Less than 0.01 µm.